Deluxe Carbon Fibre Brush. Features twin rows of carbon fibre and flip handle for easy cleaning. Your next step towards serious record cleaning. Wet scubbing bath is easy to use and more effective than brushes alone. 2 rows of soft carbon fibre separated by a velvet pad. The KAB DiscSweep features a mix of goat hair and Thunderon, an antistatic nylon fibre. We trim the brush short to give the fibers good wet strength. Handle is antistatic as well. The KAB EV-1 will cotinue to be available. Nitty Gritty cleaners utilize the time respected method of wet scrub and vacuum removal. 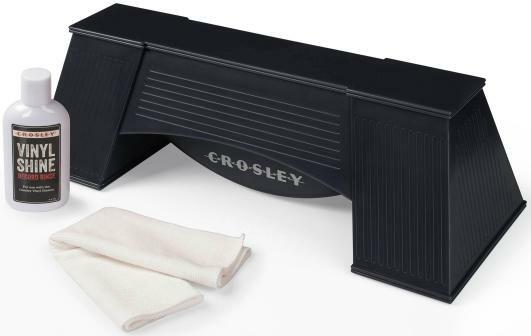 This is the only way to properly remove dirt and contamination from vinyl records. There are many models to choose from and all offer exceptional value and performance. KAB is a stocking dealer for N.G. select fluids and supplies. KAB is a stocking dealer for Audio Intelligent enzymatic and conventional record cleaning fluids. Click for Enlargement The EV1 is the only low priced vacuum record cleaner on the market today. Since 1992, KAB has offered the EV1 to cost conscious collectors and audiophiles worldwide. It requires no power, and you provide the suction via any home style vacuum with hose attachment. As demand generally runs high for this item, it is best to use the custom order option at checkout to reserve a unit. We will invoice you when your EV-1 is ready to ship.Read More. VAC SWEEP KIT(M) Kit of 3 replacement velvet strips on the Nitty Gritty vacuum slot. VAC SWEEP KIT (FI) Kit of 3 replacement velvet strips on the Nitty Gritty vacuum slot. For All Models With Fluid Pump. DISCSWEEP The KAB DiscSweep features a mix of goat hair and Thunderon, an antistatic nylon fibre. We trim the brush short to give the fibers good wet strength. Handle is antistatic as well. CAPSTAN DRIVE WHEELS Kit of 4 replacement capstan drive wheels for motor drive cleaners. For All Machines With Fluid Pump. If in doubt, just measure the width of the top. For All XP Machines With Dual Fluid Pump. 45 ADAPTER 45 adapter for motor drive machines permits rotation of 7" records. Original roller bearing assisted replacement platter. Makes hand turning very easy. Choose "All Models" for all manual rotation cleaners including all prior versions of Audio Adivsor's Record Doctor. The New R.D.V requires a custom platter, so there is a separate selection for that model. Bearing is 2-1/2" in diameter and fully supports the new platter. SPINDLE REPAIR KIT For all models including EV-1 And Record Doctor V1-4. Kit includes 1 spindle, glue and drill bit. Requires an electric drill to install. For all manual models including EV-1 And Record Doctor. 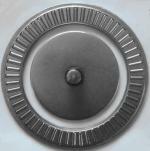 Large Fluted knob makes hand turning easy. This is an upgrade over the original Nitty Gritty turner and many others. TURNER PAD Replacement rubber pad for all NG turners old and new. 78 For cleaning shellac 78 RPM record or anywhere you want a non alcohol based solution. International customers order 16 oz size only, or choose the 1 gallon concentrate. FIRSTrv a vinyl and lacquer pre-cleaner that dissolves mold-release compounds. Do not put in fluid pump; apply with separate Record Cleaning Brush. 220 - 240 VOLT VERSION 220/240 Volt motors installed. Meets European CE certification requirements. Must be specified when ordering machine. Do I really need a Nitty Gritty Record Cleaner? After 24 years of proven performance in the audiophile area, machine cleaning is the accepted standard for cleaning vinyl records. The groove is so small and the tracing stylus so resolving, that the smallest amount of contamination produces a tick or some other annoying surface noise. The cleaning solution and it's suspended contamination must be removed before it has a chance to dry back onto the surface. Many popular hand brushes used in the past actually put more contamination on the record then they removed! Is the above true for 78's as well as LP's? Things are alittle different here. 78's have an inherent surface sound that would probably mask over any light contamination in the groove. From an archival viewpoint however, the 78 surface will adsorb water and temporarily soften during long exposures to water, as during hand cleaning.. For this reason they must never be played while wet or damp. Hand cleaning requires that the record be left to dry for at least 24 hours. The machine however, removes the fluid so quickly, that the softening affects are less pronounced and the record can be played much sooner. Do the more expensive models clean better? No. All models will clean your records to the same degree. The advantages between models are convenience features. These features are clearly listed in the descriptions and features pages. 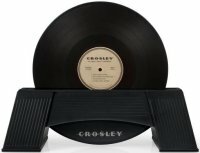 Are there different fluids for LP's and 78's? Yes. Nitty Gritty has Pure 1 for 78's and Pure 2 for LP's. The Pure 2 has a small percentage of alcohol <10% to aid in the final drying of the disc. The Pure1 fluid has no alcohol whatsoever. How long does it take to clean a record on a Nitty Gritty machine? Typically less than one minute for the motor drive machines and just a little more than that for a manual machine. Naturally the Pro 1 model is the fastest for it can do both sides at the same time. And remember, you can play the record as soon as you are done cleaning it. How long does the fluid last? Typically, based on five drops of fluid per side, that's about 1/10th ounce per record. A 16 Oz bottle will do about 160 records. Your results may vary. In the beginning most users feel inclined to use excessive amounts of fluid. This does not make the record any cleaner. How long before the Vac Sweep needs replacing? When cleaning vinyl, the Vac Sweep should be replaced after 100-300 records have been cleaned. Sooner if you see signs that the velvet is matting or wearing thin. 78's due to their abrasive quality will wear the strip quicker and need replacing sooner. What can I do to prolong the life of the velvet applicator brush? You can prolong the life of the applicator brush immensly if, after cleaning records, you vacuum it by turning the vaccum back on and running the brush over the vacuum slot. 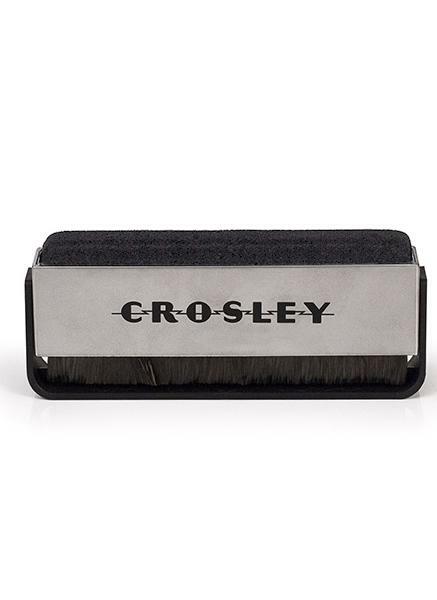 This will pull the nap of the velvet straight, dry the brush, and even clean the Vac Sweep fibers too. What can I expect to hear after cleaning a record? If this is the first time the record has been cleaned, you can expect to hear much reduced surface noise, especially the low level crackling between tracks. From an audiophile perspective, there will be an overall increase in music detail due to the reduced surface noise activity. Do I have to clean a record every time I play it? Some people do this, and you can if you like. I personally don't think it is necessary. Usually, the only reason to clean the record again is after 5 or so plays or simply if you feel it needs it. Should I continue to use my pre play brush? Yes. This is still a good idea, but do not use any fluid with it; that will only re-contaminate the record. Using a dry brush for 1 or 2 revolutions before each play is fine. Yes. 220V CE certified models are available at slightly increased cost. See Options - Extras in the INDEX. Are 7" 10" and 12" records the same as 45's, 78's, and 33's respectively? Yes. Though to be fair, there are 10" LP's and 12" 78's too. Most of us believed that if we took care of our records, they would always sound good and quiet. But as most of us find out, the surface noise gets louder and more annoying over time. Ironically, the very maintenance systems we have been using to remove dust before each play, have been secretly applying contamination to the record. You can try to hand clean them, or try some fancy new solution from the many "kitchen khemists" out there, but frankly, hand cleaning methods are either laborious and unpredictable or they simply make things worse. What we know about records, vinyl especially, is that the groove is so tiny and the tracing stylus so small, that the least microscopic amount of contamination will make a noise. It you want quiet vinyl playback, then the surface must be truly clean. But there is a problem. The groove, by virtue of its very shape, wants to hold onto any wet fluid you put into it. It became clear that the only way to get the water out of the groove is by force. But how? and could it be done safely? I'm happy to say that todays modern record cleaning machines are quite kind to your records while they do the "cleaning thing". 20 years of proven performance tends to set the record straight on just about anything! The Wet Scrub Vacuum Removal process is the accepted method of super cleaning vinyl. It is equally effective at cleaning 78 discs and 45's too. The main advantage being that the fluid, with it's suspended contamination, never has an opportunity to dry back onto the groove surface. This is the important issue to remember. This is what makes machine cleaning so worthwhile. 1 Quantity and Buy Now control your ordering activity. Select the Quantity and left click the But Now button to place the part in your cart. Left click the Show Cart button to see the current state of your shopping cart.